Jewish convert to Islam; lived at Saragossa in the second half of the eleventh century. Ibn Abi 'Uṣaibia ("'Uyun al-Anba fi Ṭabaḳat al-Aṭibba") pompously calls him a descendant of the prophet Moses. He relates further that Ḥasdai was an excellent poet, an orator, a clever logician and physician, and was well versed in mathematics and astronomy. 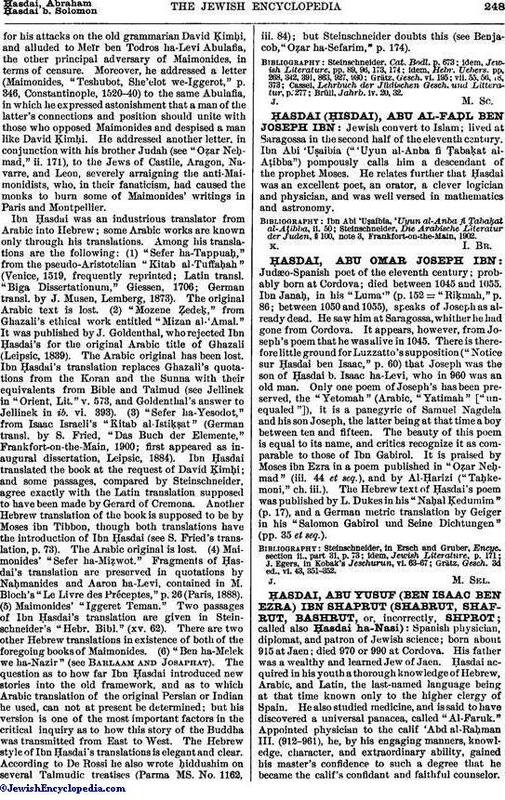 Steinschneider, Die Arabische Literatur der Juden, § 100, note 3, Frankfort-on-the-Main, 1902.